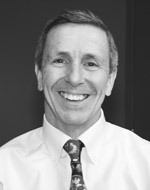 Warren Phillips has taught science for 35 years for the Plymouth Public Schools in Plymouth, Massachusetts. Phillips recorded and produced three CD’s of Science Songs entitled Sing-A-Long Science teaching the science standards. From these songs, he developed a musical entitled The Science Secret. His creative teaching strategies earned him a Disney Award in 2004. From 39 Disney teachers nationwide, Warren was selected as the Disney Middle School Teacher of The Year. He was a guest on the Tony Danza Show in Fall 2004. In 2005, Phillips was selected as a contestant on Who Wants To Be A Millionaire. He was selected as national winner of the Time/Chevrolet Teacher of the Year in 2002 and the USA Today All-USA Teaching Team in 2006. Bridgewater State University featured him in a commercial in 2007. His essay about teaching is featured in the NSTA monograph entitled Exemplary Science in Grades 5-8: Standards-Based Success Stories. He is co-author with Marcia Tate in a brain-based book about teaching strategies entitled Science Worksheets Don't Grow Dendrites. He is also a contributor to a collection of inspirational stories entitled Today I Made A Difference. Currently, Phillips travels around the country doing keynote speeches and teacher professional development for Developing Minds,inc., Blue Ribbon Schools Of Excellence, etc. He is a contributing writer for the Prentice-Hall Science Explorer series and has written curriculum for Northeastern University’s Project SEED and the Plymouth Public Schools science curriculum. He’s also been a certified teacher for the National Board for Professional Teaching Standards (NBPTS). He received an Earthwatch fellowship to study elephant behavior at Tsavo East National Park in Kenya. Phillips has a B.A. in Earth Sciences, an M.A.T. in Teaching Physical Sciences and an M. ED. in Instructional Technology from Bridgewater State University in Bridgewater, Mass.